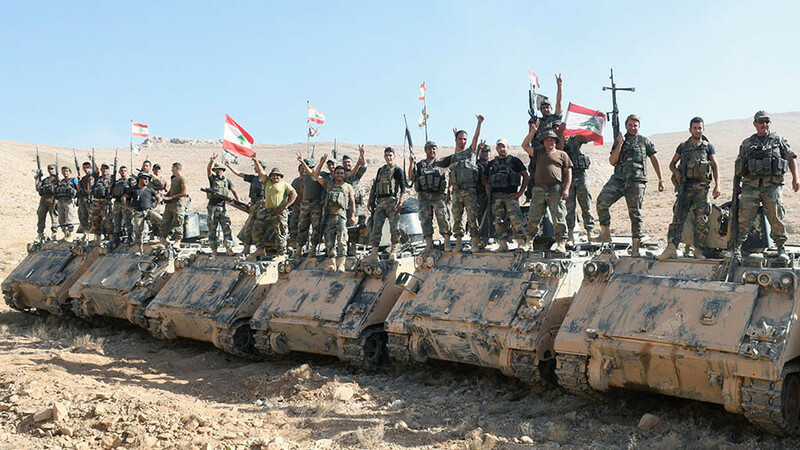 The head of the Lebanese Army has asked the military to be at “full readiness” to face “the Israeli enemy” at the southern border. The announcement comes as Arab nations, including Saudi Arabia, vow to tighten their grip on Lebanon’s Hezbollah militia. 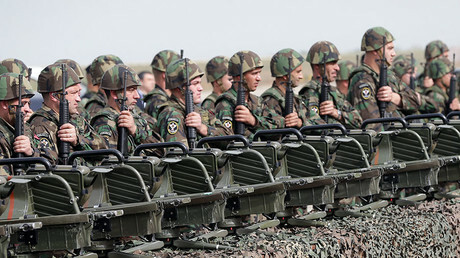 The army needs to be prepared to “confront the threats and violations of the Israeli enemy and its hostile intentions against Lebanon,” Joseph Aoun said on Tuesday. He also urged the army to cooperate with United Nations forces in Lebanon under UN Security Council Resolution 1701, adopted to resolve the 2006 Israel-Lebanon conflict. The statement comes after Lebanese President Michel Aoun said that “Israeli targeting still continues and it is the right of the Lebanese to resist it and foil its plans by all available means,” according to Reuters. قائد الجيش للعسكريين: أدعوكم إلى الجهوزية التامة على الحدود الجنوبية لمواجهة تهديدات العدو الإسرائيلي وخروقاته، وما يبيّته من نيّات عدوانية ضد لبنان وشعبه وجيشه، كما إلى السهر الدائم على حسن تنفيذ القرار 1701 بالتنسيق والتعاون مع قوات الأمم المتحدة في لبنان، حفاظاً على الاستقرار. President Aoun’s remarks were echoed by Lebanese Foreign Minister Gebran Bassil, who also cautioned Tel Aviv against sparking a war. Lebanon is ready to act, but will do its utmost to prevent Israel from an invasion, he told RT last week. “We should restrain Israel from starting a war exactly because Lebanon is sure to win it,” he said. Lebanon is undergoing a deep political crisis after its Prime Minister Saad Hariri abruptly resigned on November 4 in a televised statement from Saudi Arabia. In his resignation address, Hariri accused Iran and Shiite Hezbollah militia of sowing strife in Arab countries. The Arab League called an emergency meeting in Cairo on Sunday, blaming Iran for destabilizing the region. The alliance also described Hezbollah as a terrorist organization, but stopped just short of threatening any action against either. Ahmed Aboul Gheit, the Arab League’s secretary-general, said its members may reach out to the UN Security Council to discuss possible steps against the Islamic republic. Later, Tehran dismissed the Arab League statement on Iran, saying it was “full of lies” and the product of Saudi “pressure and propaganda.” Iranian Foreign Ministry spokesman Bahram Ghasemi called on Saudi Arabia to stop its “barbaric attacks” in Yemen. He also called on Riyadh to drop its embargo on Qatar, a country which has close ties to Tehran. "Lebanon has confronted Israeli aggressions from 1978 until 2006 and has been able to liberate its territories,” he added, as cited by National News Agency. The bellicose statements from Saudi Arabia notably coincided with comments made by Israel’s top political and military brass. On Sunday, Israel’s Energy Minister Yuval Steinitz told Israeli Army Radio that cooperation “with the moderate Arab world, including Saudi Arabia, is helping us curb Iran.” Steinitz added that his country, which fought Arab nations in several wars, is “usually the party that is not ashamed” of such ties. He said that, while Israel does not planning on striking Hezbollah, it is ready to share intelligence on Iran with Saudi Arabia. Tel Aviv and Riyadh do not have diplomatic ties with each another. Earlier this week, Iran reiterated once again it is determined to bring lasting peace to Syria, while its Gulf neighbors are sparking tensions in the region. Tehran has been working with international partners such as Russia and Turkey to ensure ceasefire in Syria and pave the way for political reconciliation, Iranian Foreign Minister Javad Zarif said on Sunday. At the same time, Riyadh “fuels terrorists, wages war on Yemen, blockades Qatar [and] foments crisis in Lebanon,” Zarif tweeted. The Iranian diplomat posted his statement after a new round of talks with his Russian and Turkish counterparts, Sergey Lavrov and Mevlut Cavusoglu, respectively who met in Antalya, Turkey, on Sunday to discuss the Syrian conflict.